Andres Rosero, more than 24 years of national and international experience in the hospitality industry, operations and service, strengthen day by day the passion for this beautiful profession and ratify having always achieved the objectives set. 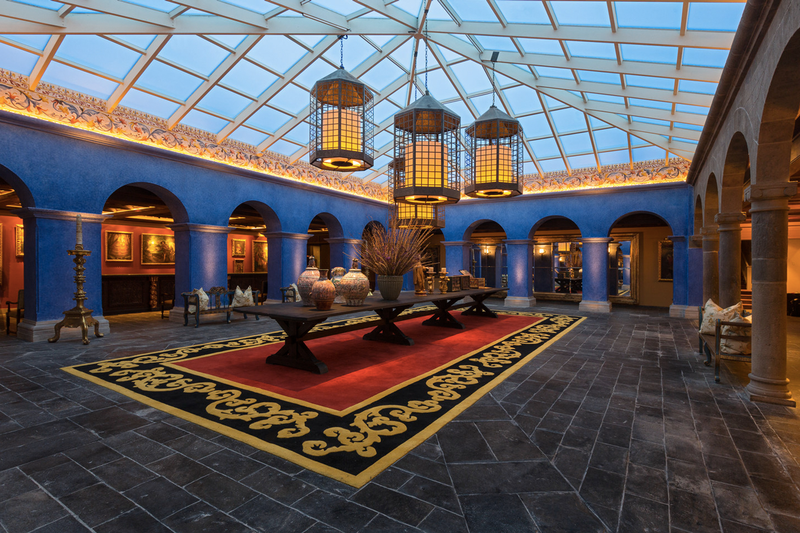 Palacio del Inka, a Luxury Collection Hotel is a 5-star luxury hotel. 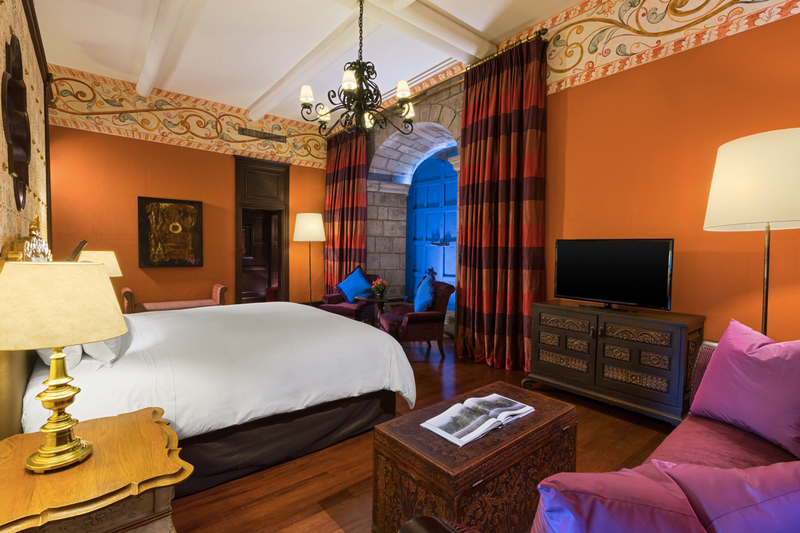 The magnificent ‘Mansion of the Four Busts’ (Casona de los Cuatro Bustos), which is the heart of the hotel, was built overtop ancient Incan walls. This historical home belonged to the Spanish family of conqueror Francisco Pizarro. 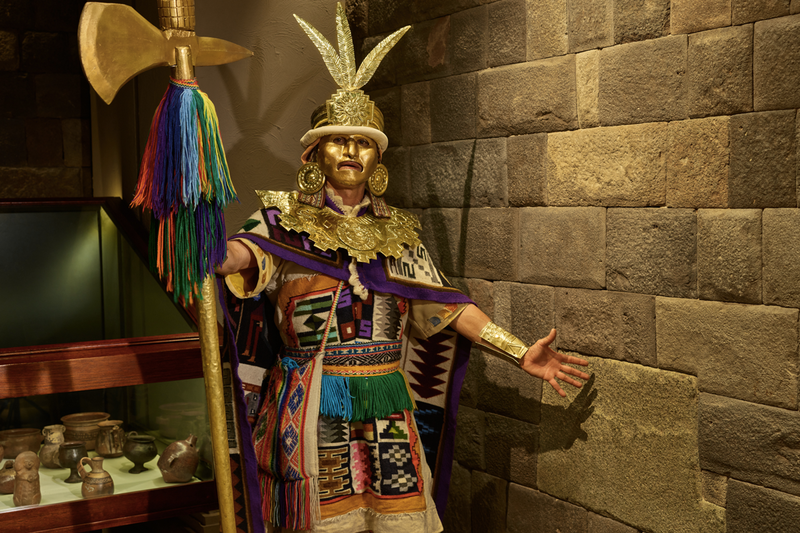 The plot on which this mansion is located was an important piece of land during the Incan Empire because it was incredibly close to the Temple of the Sun, also known as the Qoricancha. During the 18th century, it was remodeled following the tastes of that period. During the second half of the 20th century, it was site of the Museum of Viceroyal Art, and today it is the heart of the Palacio del Inka, a Luxury Collection Hotel. The hotel opened in 1976 as part of the Libertador Peruvian hotel chain. 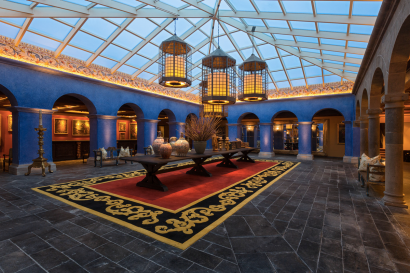 In 2013, after a $ 15 million USD renovation, it became part of The Luxury Collection portfolio. 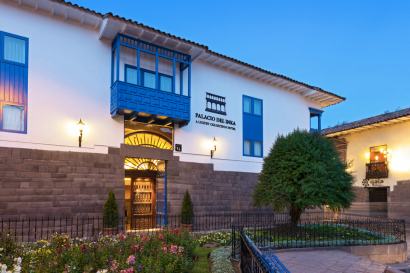 Historical property with both Incan and Colonial heritage. It is considered a hotel museum. 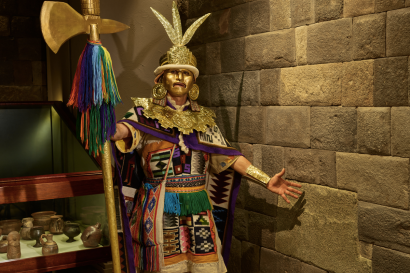 It was part of the most famous temple of Inca times, Qorikancha (Temple of the Sun), declared National Heritage of Cusco. 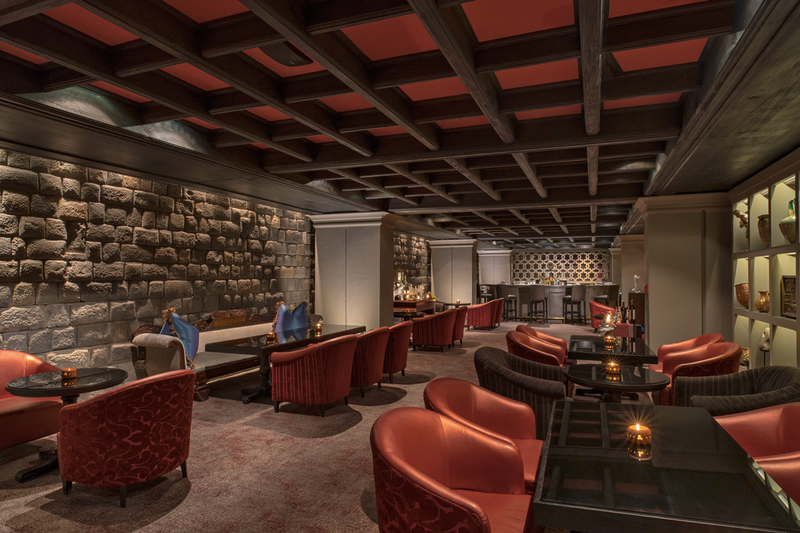 Original Inca stone wall, 64 m2 long, located inside the hotel bar. 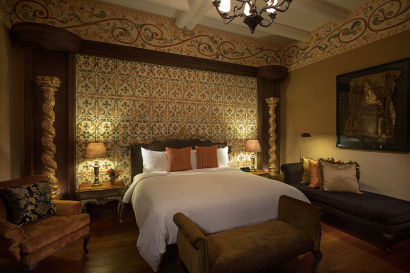 The suites of the Casona de los Cuatro Bustos, were a Colonial residence during the XVI century. 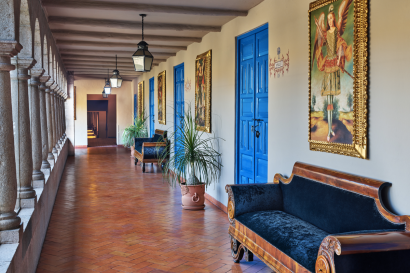 195 colonial art works are on display, 60 of which are original paintings of the Cusco School. Andes Spirit Spa, offers a wide range of revitalizing treatments and is the only spa with thermal circuit in the city of Cusco. In Cusco city, just four blocks from the Main Square and just across the street from the Qoricancha Temple. The main place where Incas worship the god Sun. Nowadays this temple is the starting point of the famous Inti Raymi Festival. 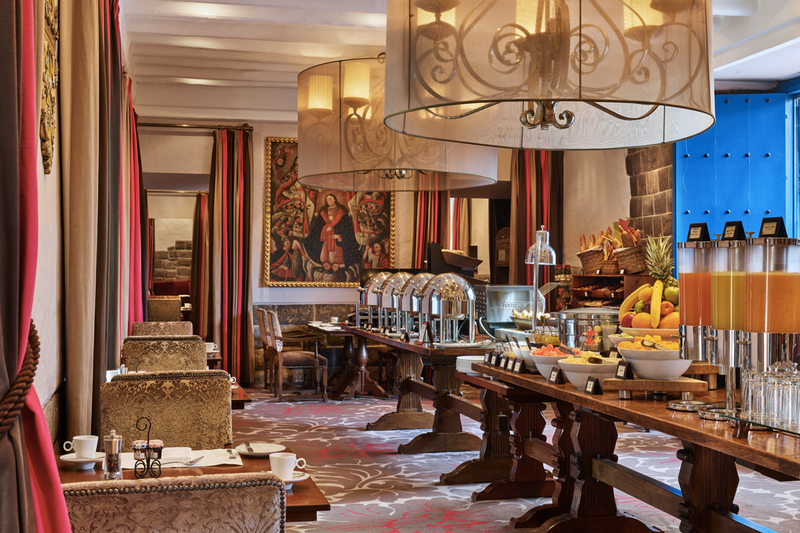 Activities within the hotel: Pisco lessons, live opera show, cheese and wine experience, and art and history site tour. Activity advisor (Venturia) offers city tours, excursion to Machu Picchu citadel, Rainbow Mountain, Moray ruins, Maras salt mines, and tailor-made experiences according to the guest´s interests. and tailor-made experiences according to the guests’ interests. Local Attractions: Qoricancha Temple, the most important worship place of the Incan times, on top of which the Santo Domingo convent was built. 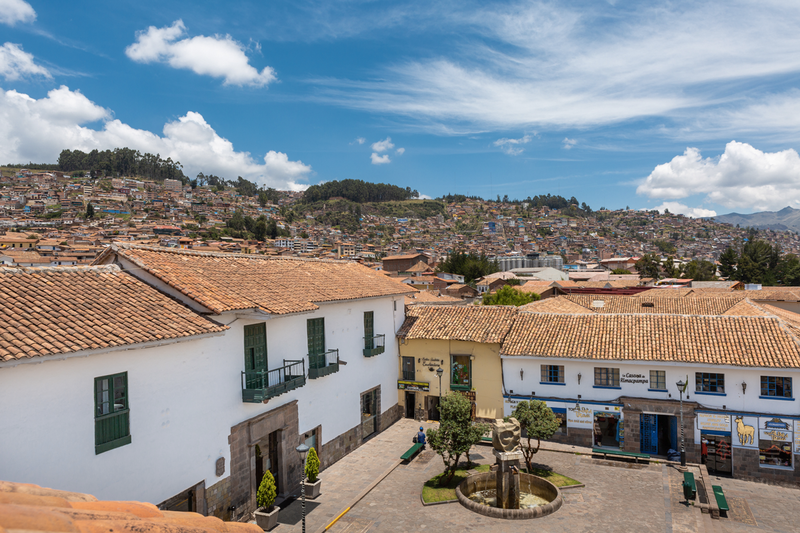 The Main Square and Cusco Cathedral (located four blocks from the hotel). 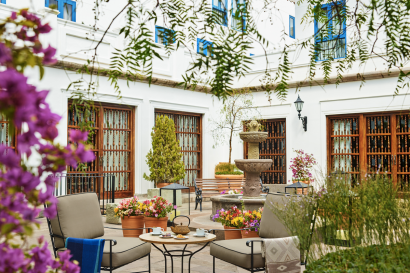 All the Colonial Suites in the « Cuatro Bustos Mansion » have been name after an element from nature that was important in the Andean Cosmo Vision. They all have « quechua » such as Inti (Sun), Killa (Moon), Kuychi (Rainbow), etc. We do not have special children programs, they can join the daily sites around the hotel. 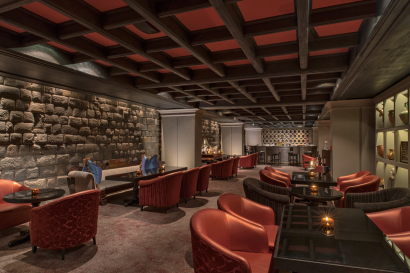 Its original Inka Wall and roof with exposed beams create and intimate and relaxing atmosphere, perfect to try our exquisite cocktails accompanied by a variety of pizzas, appetizers, tapas, among others. Opened Monday to Sunday from 11am to 11pm). It honors Andean produce and the fusion of cultures by offering the best of New Andean cuisine prepared by expert chefs. 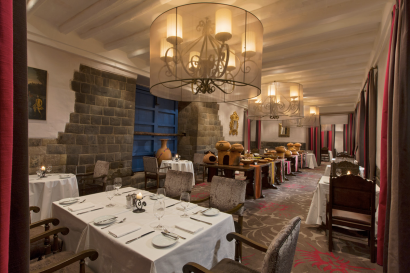 The menu is complemented with some international delicacies prepared with a touch of local taste, as well as with some contemporary Peruvian cuisine recipes. Opened Monday to Sunday from 4:30am to 10am for breakfast, 12m to 3pm for lunch, and 6 pm – 10pm for dinner. Exclusive 500 m² spa which combines the pleasant sounds of water with aromas and therapies that relax the senses and harmonize body and soul. 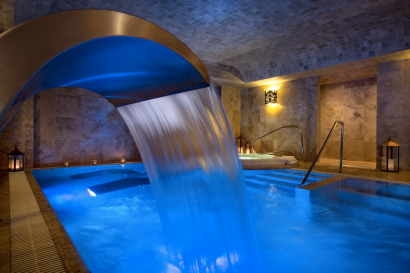 It has the only thermal circuit in Cusco, starred sky relaxing lounges and treatment rooms for individuals and couples. For adults only. Stone of the 8 angles, an archaeological piece that was part of an imperial Inca wall, believed to be connected to the practice of important rituals of the time.